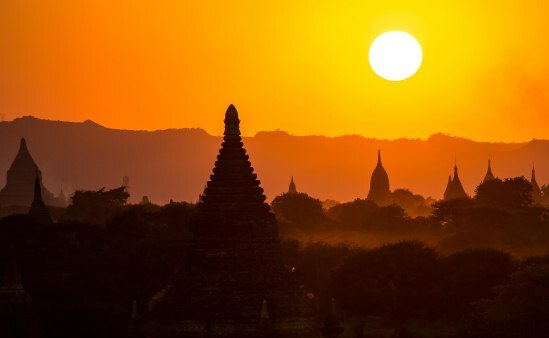 Without doubt Burma is the most talked about travel destination at the moment and one that I had been wanting to visit for such a long time; it's brutal history under the ruling military junta being the reason I had stayed away. 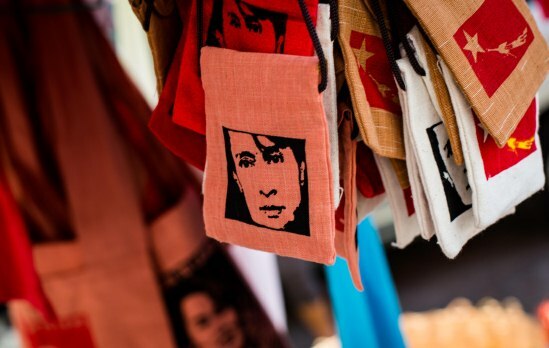 However, with the release of Aung San Suu Kyi and the lifting of the tourism boycott by the National League for Democracy, now seemed a good time for the Hubby and I to visit a country where tourism is ramping up and change is inevitably on the horizon. 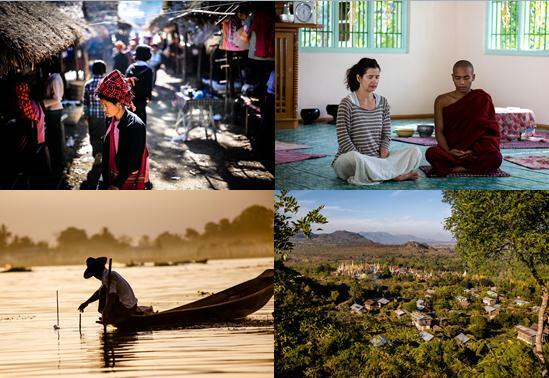 Although Burma is by no means backward, it has an untouched quality preserved by years of economic and political isolation from the West. The traditional dress of velvet flip flops and the skirt like longyi is widely worn, whilst faces are white with Thanaka (used as make-up and sun block). Religion plays an important part in daily life and Buddhism is certainly big in Burma; the landscape is dotted with golden pagodas whilst streets are festooned with red robed monks and prettily dressed nuns in pink collecting their daily alms - though the sight of many of them carrying iPads and better smart phones than me is a bit odd! 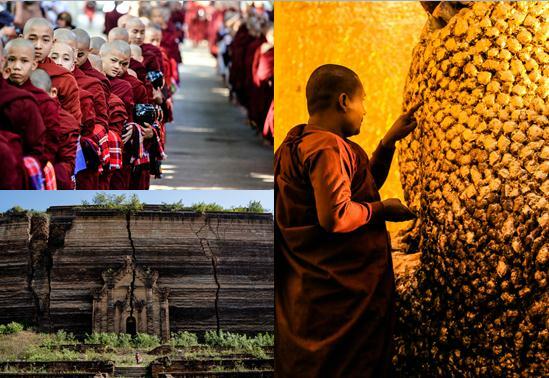 What's great is that the form of Buddhism practiced in Burma is all encompassing and you share your visits to pagodas with locals going about their daily worship. 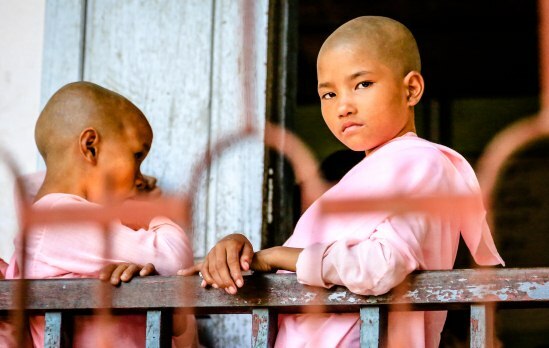 For me, the warmth of the people in Burma certainly rivalled the stunning scenery and culture; they are yet to be (too) spoiled by tourism and are gentle, welcoming and inquisitive, each one genuinely wanting to engage with you. From the old man in the market who, on finding out I was British, regaled (in remarkably good English) about his time fighting in the war with Lord Mountbatten. To the monk whose job was to practice his English on tourists, and happily chatted about football to the Hubby; his favourite footballer was Wayne Looney ("R's are difficult to pronounce in Burmese or maybe they're not and he actually got the surname spot on?!). Even the black market money changers are less aggressive than other Asian countries - they actually take "no" for an answer and walk off with a smile and a "have a nice day". 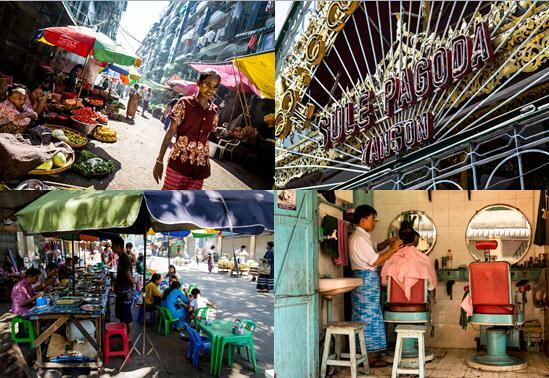 The Hubby and I started our trip in Rangoon (now named Yangon), a bustling noisy town with a colourful street life where locals sell their wares or sit at one of the little pavement food stalls chatting, eating and drinking endless cups of sweet milky tea. Under the British colonial-era the city would have been very grand indeed; now once ornately decorated buildings lie crumbling and pavements are littered with crater sized holes. Overlooking the city is the Shwedagon Pagoda which is probably one of the most impressive temple complexes I've ever come across (and there have been a few). It’s the most important pagoda in Burma and people come from all over the country to visit at least once in their life time. 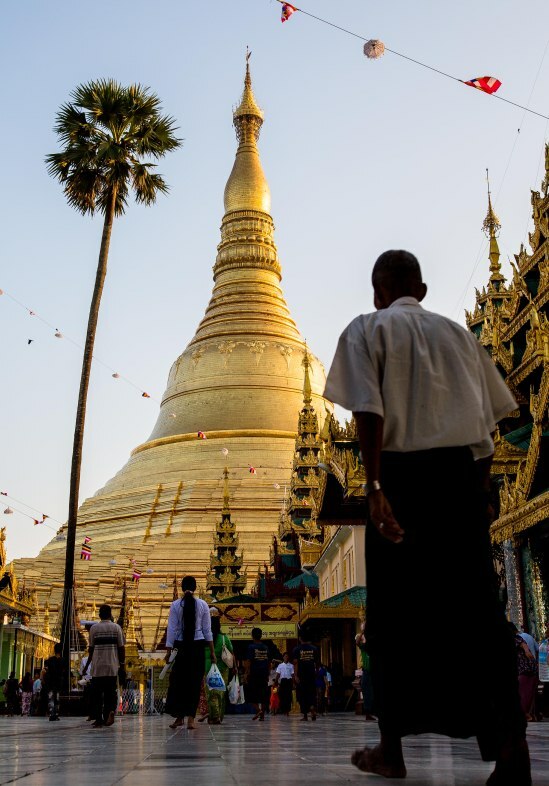 At its heart lies a huge golden stupa that glistens in the sunlight, gaining greater depth as the sun sets and the sky darkens whilst at night, encrusted with over 5,000 diamonds, the stupa twinkles and acts as a beacon over the whole of Yangon. 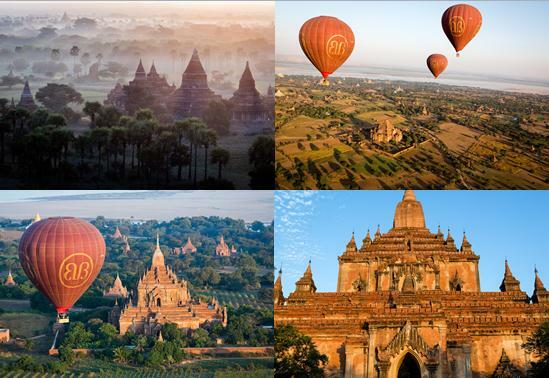 Burma is a country of amazing sites and Bagan, our next destination, didn't disappoint. Here 11th Century Burmese kings, in an ostentatious show, went on a building spree resulting in over 3,000 religious monuments being built over about 50 sq kms. Restoration has taken place (some by what looks like trainee brickies) and there are some impressive monuments like the Ananda Pagoda with its four huge golden Buddha’s but many stupas are unremarkable. What is incredible however is the sheer vastness of the plain and the number of temples, a spectacular landscape which is most definitely best experienced from the sky; one dawn to the gentle whoosh of the gas burners the Hubby and I rose through the early morning mist in a balloon and were greeted by the sublime sight of thousands of bell shaped temples. 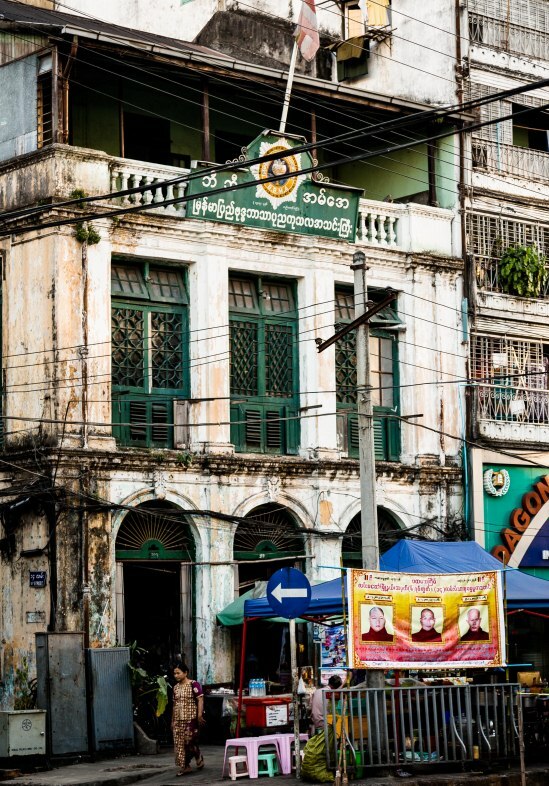 Next on our journey was Mandalay, a city so blitzed by the Japanese/British war time struggle that it almost ceased to exist. In the centre, surrounded by a large moat is the Fort Palace, which is the only place we ever came across the military junta. Then there's the beautiful and intricately carved teak Golden Palace monastery and the serene Kuthodaw Pagoda with its 729 huge marble tablets inscribed with Buddhist scriptures. 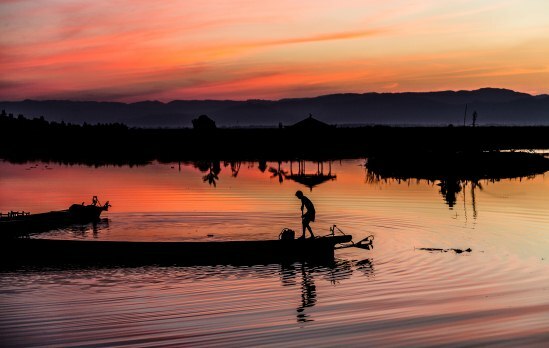 Many of Mandalay’s best sights lie outside the urban centre. At the ancient capital of Inwa (Ava) go back in time as you explore the area in a horse drawn cart, clip clopping along rural lanes to monasteries and past rice paddies tended by local workers. 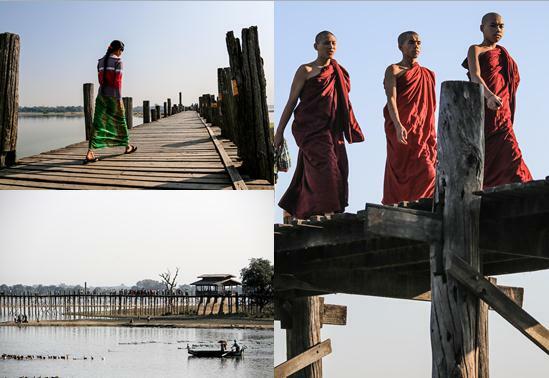 At Amarapura you can watch as over a thousand monks take lunch at the country’s largest monastery and walk at sunset over the 200 year old U-Bein’s Bridge which is 1 km long and constructed entirely out of teak. Ever heard the one about the one legged rower? 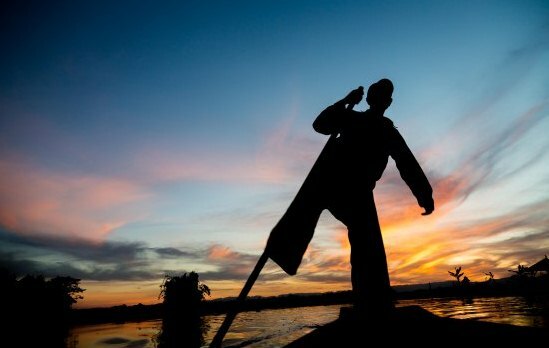 From Mandalay we travelled to our final stop, Inle Lake. 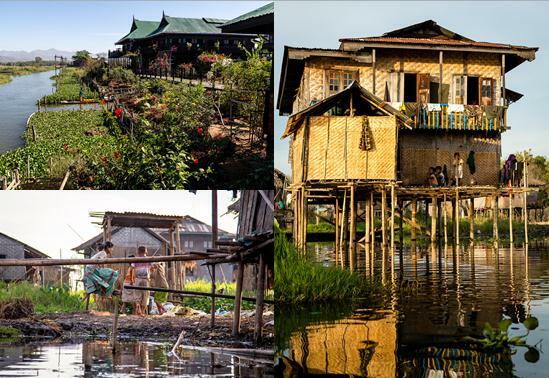 Here we found some of Burma's most dreamy scenery: the Intha people live on the lake shores and floating villages, in houses built on stilts unchanged in 200 years (with electricity introduced only recently); they tend their floating gardens whilst fishermen row with one arm and one leg leaving the other arm free to handle the nets and markets are full of cheroot smoking ladies from the surrounding hill tribes. Although most places around the lake are visited by long boat, a bike ride through the countryside and local villages gave the Hubby and I some of our most memorable experiences: on a visit to a monastery we were invited in to take lunch with the monks and I (a stressed western woman) was given an impromptu meditation session; then there was wine tasting at a Burmese vineyard - stunning scenery and some very quaffable wine. 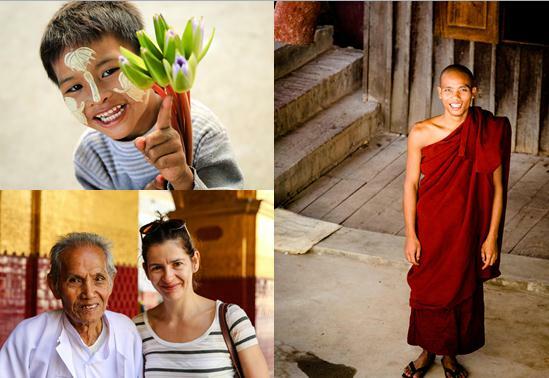 Our trip to Burma was over far too quickly but we left with wonderful memories and experiences. After decades of darkness and fear, there is a real sense of hope and optimism for the country. However, this is bringing rapid change - we arrived into the cash only country with wads of Dollars and left as ATMs were being fitted on most street corners and the lack of mobile connection we found incredibly liberating will soon be a thing of the past. I just hope the traditions and warmth of the people remain unchanged. If you're interested in visiting Burma please feel free to get in touch with me, I’d be happy to chat about our trip in more detail.